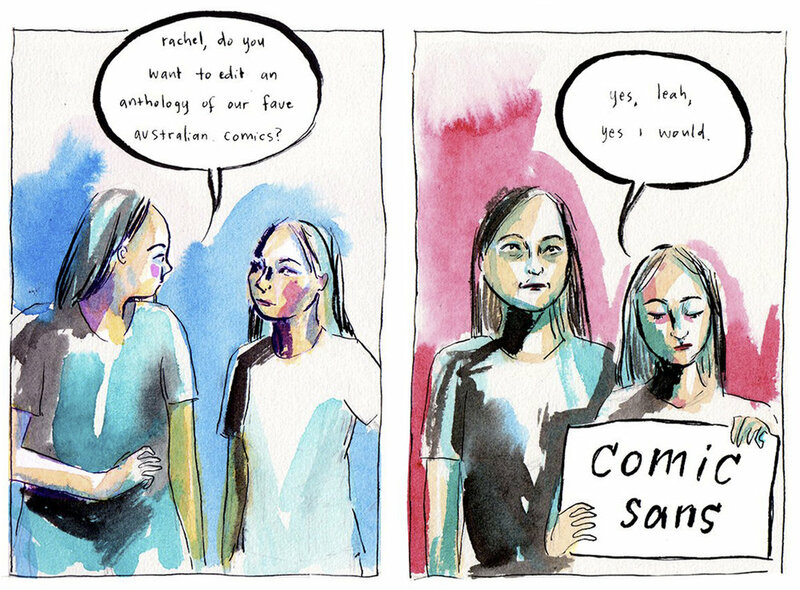 The founder of Liminal, Leah Jing, and the artistic director of Pencilled In, Rachel Ang, have come together to bring you Comic Sans, a serialised collection of the best Australian comics artists working today. Brought together by their love of comics and hatred of mediocrity, Leah and Rachel formed Comic Sans to give a platform for the artists they think are the most exciting, most unique, most interesting voices of 2018; artists who push their craft, who see their writing as a literary art form, who create beautiful yet thought-provoking work. We want to be constantly discovering new artists, and to have Comic Sans as an open-ended project, so instead of a single collection, we’re putting together a home-made subscription service, a series of zines for all your comic requirements throughout the year. Comic Sans will come out quarterly, with a year-long subscription at $60 for four issues. A single issue can be purchased for $15. Visit our Pozible campaign to pre-order!